In today’s global business environment, the accuracy and timeliness of financial reporting and its effects on ethical decision making has had an important effect on corporations, its employees, its lenders and the financial markets. It’s become increasingly important that international financial statements be translated accurately for the various uses and users. Who Needs Accurate Financial Translations? Accountants and top managers are not the only people who rely on accurate financial reports. Personnel throughout an organization and people with direct financial interest in a business rely on accurate financial data to analyze, benchmark and report on business performance. Their reports describe historical profit and loss and help forecast future performance. These reports are then used by stockbrokers and industry analysts to evaluate investment opportunities. Investors Stockholders partly base their decisions on whether to buy or sell stock based on past performance. An analysis of the corporation’s past success and prospective earnings helps them gauge the attractiveness of future investments. Once they make an investment, they might later review past financial statements to determine the success of their investment strategies. Creditors Corporations frequently borrow money for long-term and short-term requirements. A Creditor can either be a financial institution that lends or a supplier that provides good and services on credit. Creditors need to know if they can trust the corporation to repay its debts and interest on time. To make this decision, a financial institutions, mortgage companies, insurance firms and suppliers will often review a corporation’s liquidity and earnings. Government agencies and public groups, including tax authorities, regulatory agencies, and various other groups also use corporate financial data to make decisions on public issues. Tax Authorities Federal, state and city governments are interested in financial data to assess the amount of tax corporations, organizations and individuals owe. The government collects many types of taxes including federal, state, and city income taxes; social security and other payroll taxes; excise taxes; and sales taxes. 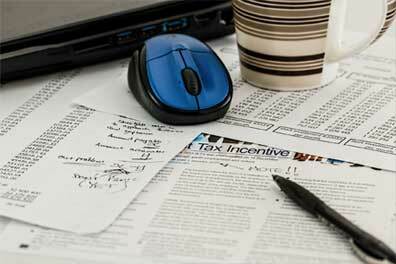 Each tax requires special tax returns and often a complex set of records as well. Accurate reporting is required by law. Regulatory Agencies Various regulatory agencies at the federal, state, and local levels also require a complex set of financial reports. For example, corporations must report to the Federal Trade Commission on subjects relating to issuing stock and buying back outstanding stock. Well-known financial institutions rely on 24 Hour Translation —some for more than 20 years—because we are a genuine U.S. translation company with proven translators that are wholly capable of translating financial reports, banking statement and personal banking statements across a wide range of languages. Whether you are preparing documents for an underwriter, developing marketing collateral to reach foreign speaking audiences or dealing with day-to-day business issues that come with today’s global marketplace, 24 Hour Translation Service provides the linguistic, financial and legal know-how to get your job done correctly and inexpensively. Our language translation teams include translators with business, legal, accounting, lending, marketing and investing backgrounds which helps us better in recognizing the concerns surrounding your translation needs. 24 Hour Translation is trusted by banks, underwriters, investing firms, trust companies, broker-dealers, investment advisers, financial planners, and other financial services firms. Our translators use their legal and financial acumen to offer correct translations and responsive service all aimed at giving your institution the highest value among all translation companies.